Note: Originally intended for the latest copy of loud paper, this essay is posted here as part of my ongoing concern with the acts and instruments of judgment. Ultimately, it’s an argument for being more explicit about the factors that shape design decisions and using that knowledge to inform the specific ways that the architect acts. There’s a wide world of options out there between buildings and books: size matters. The architect is foremost a mediator–negotiating the desires of the mind and all the contingent specifics of the situation at hand. By working between the abstract realm of possibilities and the concrete world of consequences, the primary skill of the architect is the ability to make the unavoidable compromises of getting things done dissolve into a wash of intention. Regardless of scale, budget, or brief, acts of architecture are always the result of such mediations and introduce new relationships within the participating public. In this way, what the architect does sounds a lot like McLuhan’s definition of a medium: something behind the scenes that changes the way we relate to each other and the world. That architecture is a medium rather than a thing or quality may help to explain why the discipline never seems to escape that fundamental existential question: What is architecture? 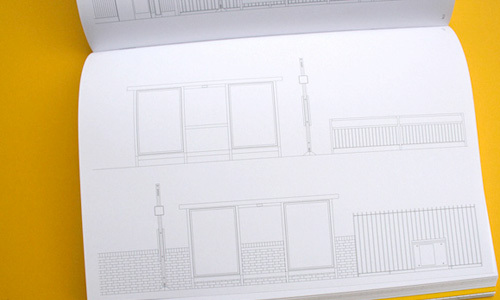 Architecture is everything transmitted by the architect… but that doesn’t help us very much. Precisely because the architect is a mediator–a human instantiation of the medium of architecture–McLuhan’s trusty message about mediums is useless for the discipline. Instead, let’s massage medium into format: The format is the message. Every building, every publication, every bit of output from the architect is formatted for realization and tailored to an audience. Architects no longer enjoy the simple pleasure of designing buildings, they design a library in Caracas for the city government, or a stadium in Belarus for an international magnate. They write books for post-critical academics, pamphlets for North American students, and websites for the image-hungry public to name just a few examples. The work of the architect has never been more tied to all the specificities of client, market, place, and politics nor have the concerns of these groups ever been more enmeshed. Each format has its own set of catalytic constraints, biases, and conventions that the architect must work with. 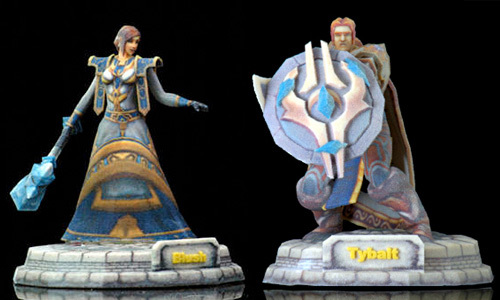 World of Warcraft figures that have escaped the screen as 3d prints. Source. Not only is the transmission of ideas and ideologies instant, as McLuhan observed, but the internet and the dropping price of media equipment, from video cameras to 3D printers, has further altered the default mode of content. We can no longer think about things being designed for a single medium, rather they must be formatted for a variety of outlets, existing simultaneously at multiple scales and across multiple media platforms. If globalization has replaced historical time with the flatness of space, we now contend with concurrency and multiplicity. The formatting of our world is precisely what makes this work: things are formatted differently for specific places, uses, and audiences to allow cohabitation. To truly take advantage of this position as mediator between the world of possibilities and that of consequences, architects must realize that they are not in the business of producing media, but formats. Mega walmart on the left and a comparatively small Walgreens which has hopes of generating half of each store’s energy needs on site. Palevsky House (left) by Craig Ellwood who took much from MVDR, author of the Farnsworth House (right). Where media are defined by their transmission, formats encapsulate. The specificity of a format is in the way that it encloses or captures content, and is thus about what the author decides to include and what editing or compression techniques they use to make everything fit. For the designer, the format is an active tool of control. It focuses on methods of including specific content rather than the exclusion of all that which is beyond the limits of the transmission medium. When value engineering sends the architect scrambling to find new ways of achieving the same effect with lesser means this is precisely an act of formatting–how can the original idea be encapsulated in a new format without losing its potency? ctural interests with each project developing intense knowledge about its own area of specialization but no satisfying way to compare them. Here a greenwashed tower, there a smooth shiny spindle glinting in the sun, yonder a banal engineering marvel. A better understanding of the formatting of these projects–the mediation of the conventions and constraints of politics, place, market, and client into material form–offers the possibility of desegregating the various architectural discussions that have emerged as the discipline shoots in disparate directions. Size May Vary, an interesting book about formats of all shapes and sizes. Formatting offers us a way to think constitutionally about the discipline by returning the discussion to what exactly what we are producing, rather than fixating on specialized techniques of production. Instead of pondering what architecture is, we have to ask what architecture is making. How do we format (and judge) our work for those within the discipline differently than the glossy renderings that we produce for the public? Whether buildings, books, or bread, what is the operative value of our output and how are we measuring it? What are the formats that we offer to contemporary society and what good do they provide? Or better yet, what are the formats that contemporary society needs as it attempts to pull itself out of the very real problems of financial and climatological collapse? 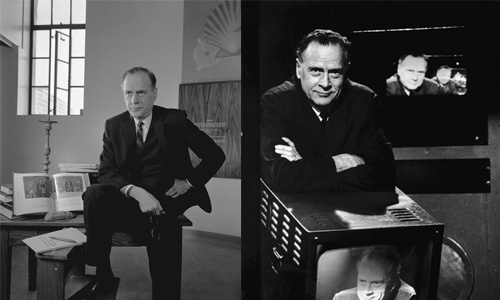 McLuhan used a structural analysis of media to illuminate and make operable the intricacies of his mid-century world; understanding the potentials and productive constraints of contemporary formats may help us put a little bit of structure back into our own. Is every act of creation in which a architect participates an “act of architecture”, even if what is built is not a building? Or if it is to use a much used (at the end of 2008) phrase the creation of “architectural fiction”? Beacause if as you argue the answer is yes and that being a contemporary architect is about creating “formats” that what separates or identifies the creation of formatted media by an “architect” over some other designer? Is it just the degree, training? Or perhaps there is none? I do think this idea of formats/media is useful for concentrating the questions on context specific issues. However it would seem as if rather than “desegregating the various architectural discussions” it would reinforce them by focusing on individual format specific critiques as oppossed to a discipline wide discussion. Through the acknowledgement that production will be different depending on format. It seems to do away with any concept of “meta”. Every act? That’s a wide net to cast. Rather, I’d offer that deciding what is architecture and what is not is so personal a decision as to be useless. I care much more about whether a thing does what it was designed and intended to do and whether those intentions are useful(1) to society. This is why I am directing attention to the question of formatting: what is the intention and how is it packaged for the world? Formats offer a sort of distributed conventionality or a concept of loose types. Formatting is interesting to me because it’s a plural discussion. Those who work with any media navigate formatting decisions on a regular basis and the smart ones exploit the specifics of their chosen formats, as in this story about Dark Knight’s DVD release. Current fashion in architecture (or at least the academic end of architecture) is to segregate ourselves based on content. By way of example, would Teddy Cruz ever be invited to Hani Rashid’s final review? Not likely, as they both trade in specific areas of content that have little or no overlap. Since I don’t think we’ll put the genie of specialization back in the bottle any time soon, the question is how we retain some sort of broader disciplinary discussion. For me, there’s a lot of potential in the meta questions like formatting: How do formats shape content in reaction to consistent forces such as client, market, place, and politics? 1. Useful is defined very loosely here, not as a purely functional issue. Painting, literature, satire, farming, carpentry are all useful pursuits. have you read any mario carpo? he’s got a book called “architecture in the age of printing (MIT Press)” it’s a great book about the relation of media to thought, specifically applied to architecture. kind of like mcluhan, except less hipster more historian, and applied specifically to architecture. it’s a great read.